Pioneer was one of the earliest manufacturers of plasma displays and has almost 10 years of commercial expertise and investment in plasma technology under its belt, which means the company’s boffins have been able to concentrate all their technical know-how on getting plasma just right. It also means the PDP-436XDE has a lot to live up to. 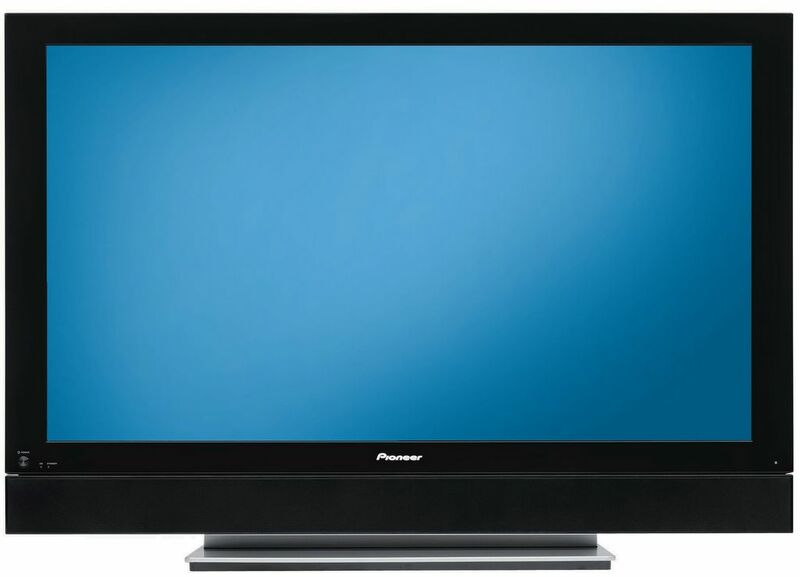 As if to prove it’s not like other manufacturers from the offset, Pioneer has eschewed common trend and produced a 43-inch screen rather than the standard 42-inch size favoured by many of its rivals. Not that you can really tell this from a casual glance. In fact, with its minimal black frame, the PDP-436XDE seems a lot less imposing than many of the other sets on test. From a purely practical point of view, the PDP-436XDE’s subtleyet-smart stylings are much more likely to suit a wide range of living room environments than some of the less sophisticated designs of the competition. As with many of the sets we tested, the PDP-436XDE features removable speakers that clip on either side of the screen itself. There’s no doubt that the TV is better off without these additions where possible but,as far as speakers go, they’re reasonably attractive and have less of a detrimental impact on the overall look of the set than in many of the other cases here. The PDP-436XDE comes in two bits – the screen itself and a media receiver box, which houses both Freeview and analogue TV tuners as well as all the various inputs and outputs. This is largely to aid those who are planning to wallmount the screen, although not having to grapple around behind the TV itself will be a blessing for many others besides. Some users may balk at the idea of another box to stack on top of the various DVD players, AV receivers and games consoles gathering in the living room. Thankfully Pioneer provides a cheaper all-in-one version of the same display (the PDP-436SXE) without the separate media box for those who prefer it. In terms of connectivity, the PDP-436XDE has got pretty much everything you’d ever need, including no less than two HDCP-enabled HDMI sockets, component and VGA along with all the usual Scart, composite and S-video inputs. There’s even an optical digital audio output for hooking Freeview up to an external sound system. A useful bonus is the PC card slot, which can be used to pop in a memory card (with an adapter) to display digital photos. Where Pioneer’s plasma really shines, however, is in the sheer quality of the image. True HD material and upscaled DVD movies look sensational over HDMI or component connections. At 720p resolution particularly, the PDP-436XDE just blows the competition away. Blacks look black, lines are sharp and even if you stand with your nose pressed against the screen you won’t find any graininess or blocks. Colours are vibrant yet beautifully balanced and there isn’t the slightest reflection on the glass, thanks to the special way that Pioneer builds its screens. Even DVD movies via Scart and bog-standard-def television programmes look tremendous. If we were to nit-pick, we might point out the barely noticeable jagged edges that can sometimes appear on diagonal lines if you haven’t set the screen up properly. Or the vaguely annoying grey bars that you get either side of the image in 4:3 viewing mode. It’s even possible that we’d take issue with the fact that the VGA socket is positioned on the front of the media receiver, which could look a little unsightly if you leave a cable plugged in permanently. But, as you can probably tell, it’s quite difficult to find much to complain about, other than the fact that the PDP-436XDE also happens to be the most expensive screen on test. All we can say is that this is aninstance where the extra cash is worth it.